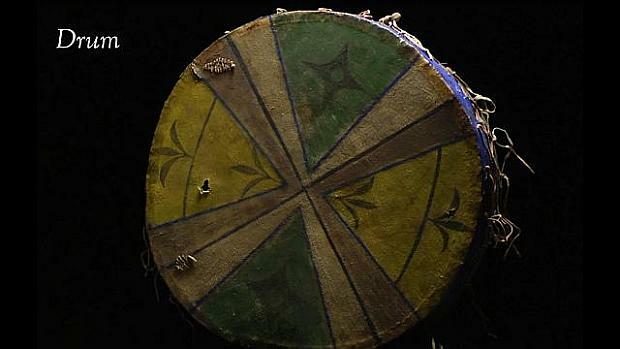 A drum like this is made from thinned deer hide or rawhide. It is fancy and has lacing which was placed on the drum when wet. This drum has a bird on it that could be a crane with a snake in its mouth. There are two basic colors: sky colors and grass colors. Everything on this drum seems to talk about life as described by the bird and the florals in front.